This shot of the Smiley Testimonial Gateway in New Paltz, New York was taken from ground level on the morning of June 2nd. 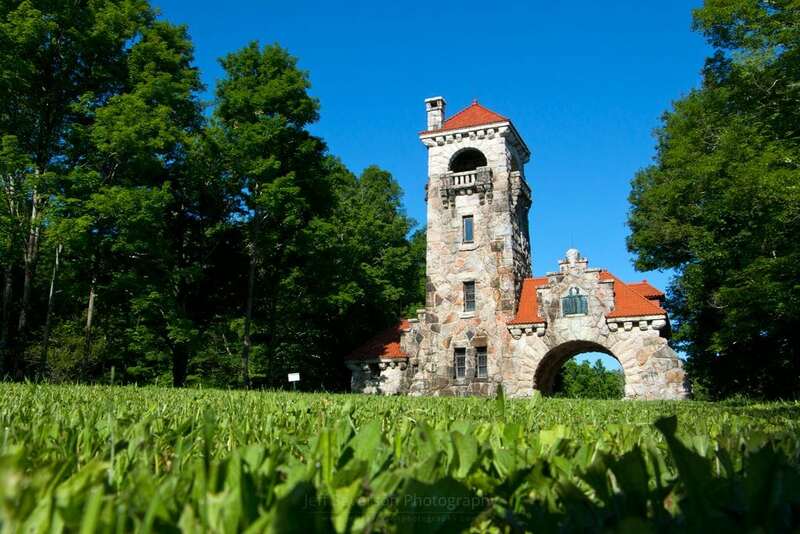 The gateway was built in 1907 to mark the 50th wedding anniversary of Albert and Eliza Smiley and was used as the formal entrance to the Mohonk Mountain House from 1908 to 1935. It’s located on Gatehouse Rd., just off of Route 299. This photo was taken with a Canon EOS 70D at 22mm and 1/250 second exposure on June 2, 2017.